Fox Searchlight Pictures has released the first clip from "THE SHAPE OF WATER", the latest creature feature from Guillermo del Toro ("PAN'S LABYRINTH", "CRIMSON PEAK", "PACIFIC RIM"). ORIGIN OF EVIL", "CRIMSON PEAK"), Michael Stuhlbarg ("DOCTOR STRANGE", "ARRIVAL"), and Octavia Spencer ("DIVERGENTE 2", "SNOWPIERCER"). Del Toro directs the film and co-wrote it with Vanessa Taylor ("GAME OF THRONES", "DIVERGENT"). "THE SHAPE OF WATER" opens in North American theaters on December 8, 2017. 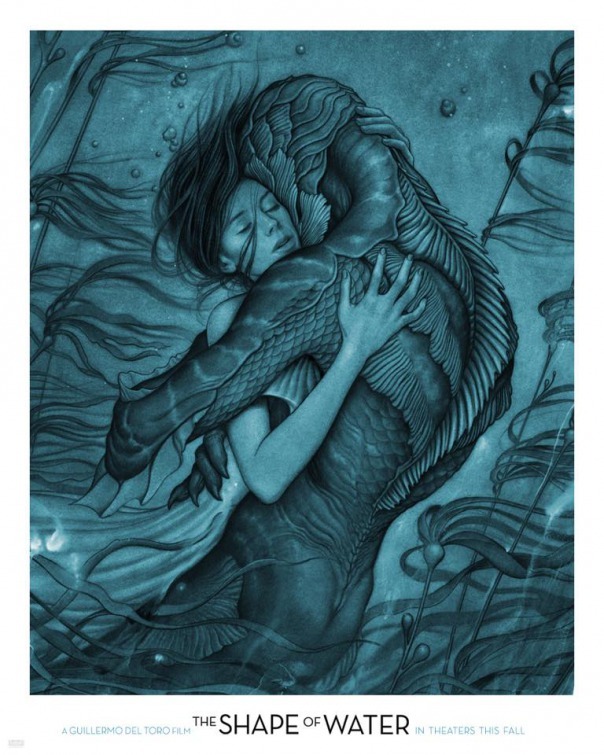 Synopsis : From master storyteller Guillermo del Toro comes THE SHAPE OF WATER, an otherworldly fable set against the backdrop of Cold War era America circa 1962. In the hidden high-security government laboratory where she works, lonely Elisa (Sally Hawkins) is trapped in a life of isolation. Elisa's life is changed forever when she and co-worker Zelda (Octavia Spencer) discover a secret classified experiment. Rounding out the cast are Michael Shannon, Richard Jenkins, Michael Stuhlbarg, and Doug Jones.